This report explores the conservation activities of 123 local governments in BC. 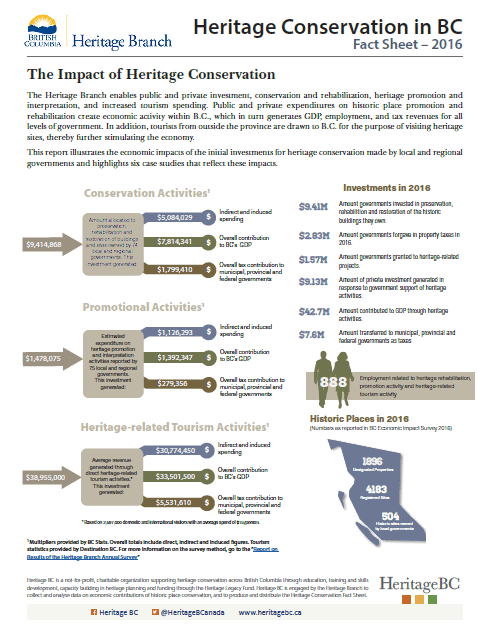 This report illustrates the economic impacts of the initial investments for heritage conservation made by local and regional governments and highlights six case studies that reflect these impacts. 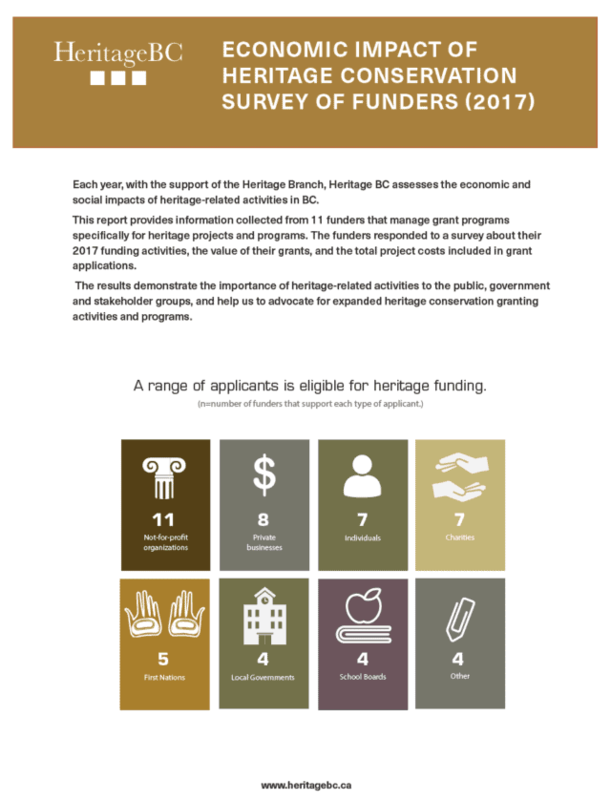 This report provides information collected from 11 funders that manage grant programs specifically for heritage projects and programs. The funders responded to a survey about their 2017 funding activities, the value of their grants, and the total project costs included in grant applications. 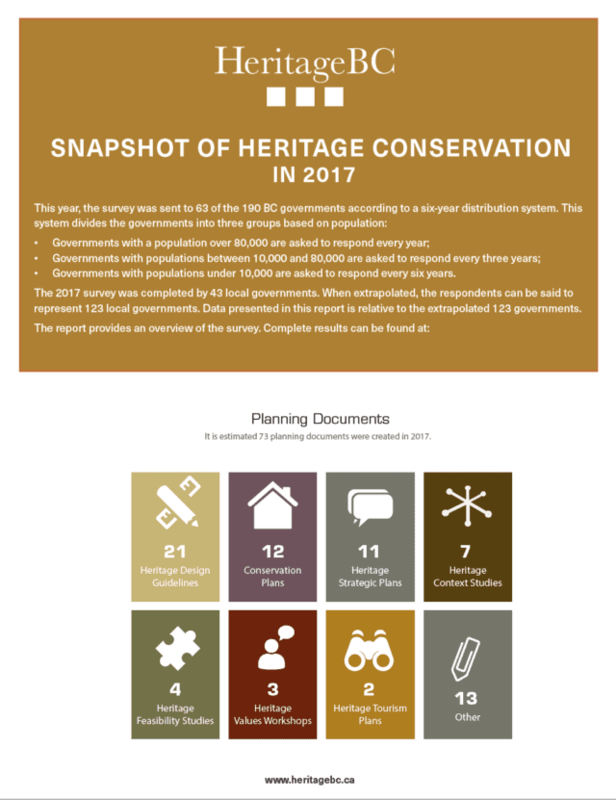 The results demonstrate the importance of heritage-related activities to the public, government and stakeholder groups, and help us to advocate for expanded heritage conservation granting activities and programs. Download the Survey of Funders 2017.